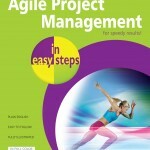 Agile Project Management in easy steps defines agile projects and then examines the typical components of such a project and the appropriate approach to project managing them. For completion, it also shows how to use the traditional project management areas such as: team management, risk management, quality management, communications and reporting. Agile Project Management in easy steps conforms to using simple stages to follow, enabling desired results with no confusion along the way. 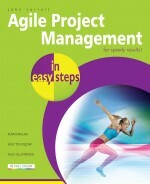 John is also the author of Effective Project Management in easy steps, Effective Time Management in easy steps, Earned Value Management in easy steps, and all editions of (MS) Project in easy steps.